We are a commercial nursery or perennials in several pot sizes. Our activities are focused on the retail (garden centers) and construction sector at home and abroad. For many years we have been supplying perennials in garden centers at home and abroad in P9, the C5 has been added since a few years. Our green square C5 are now a well-known appearance at many garden centers where our spearheads are the Peonies and the Ornamental grasses. 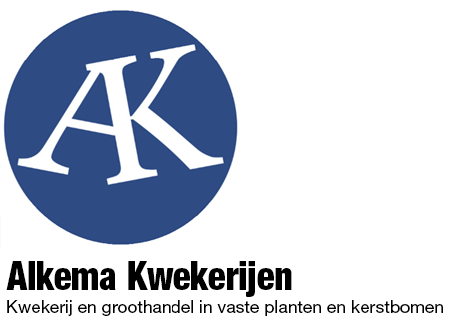 Alkema Kwekerijen grows a large assortment of perennials for the construction industry, you can find our plants in many gardens, public gardens, roundabouts and wherever. For many years we have been supplying Christmas trees to many garden centers and other sales points. Within this market we are known for our good quality Christmas trees and our accurate deliveries. Alkema Kwekerijen has been playing an important role in the garden center industry for years with the extensive P9 assortment and the striking C5 assortment. 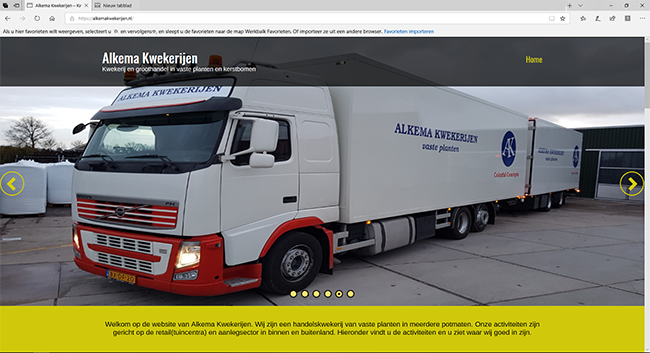 Alkema is known for its good plant-price ratio coupled with fast deliveries and a method in which we try to meet all customer requirements.